The Junior World Championships, Fort Lauderdale 2014, produced a breathless third day at the Broward County Convention Center on Friday. 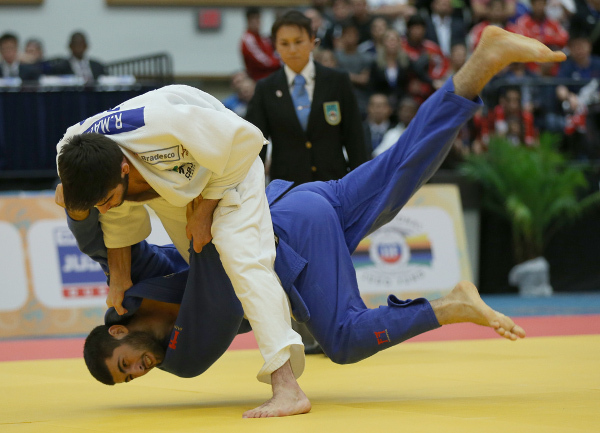 Fort Lauderdale's Rio 2016 and Tokyo 2020 hopefuls gave their all in four weight categories as fans watched live on the IJF streaming website (www.ippon.tv). The junior women’s -63kg, and -70kg categories and the junior men’s -81kg, -90kg categories were all decided at the teeming venue. Mr. Daniel LASCAU, IJF Sports Director and former world champion, shared his observations on the competition so far. 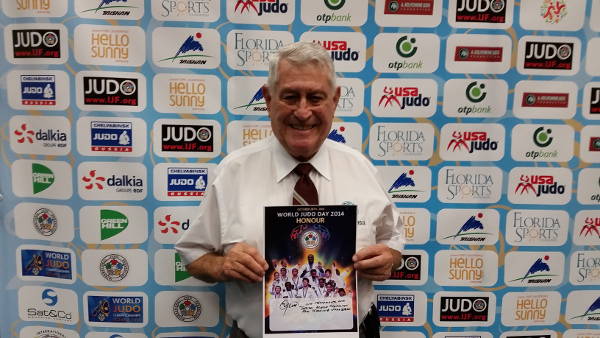 Mr. Luis GUARDIA, IJF 9th Dan, is volunteering at the Junior World Championships as he did in 2013 at the Cadet World Championships and Miami Grand Prix. GUARDIA, a long-time Cuban international, former referee and coach was one of the founding members of Cuban Judo and the Pan-American Judo Confederation. The living legend released his book, Origins of Pan-American Judo, in 2012, which was received to international acclaim and is now on display at the Kodokan Museum in Tokyo, Japan. 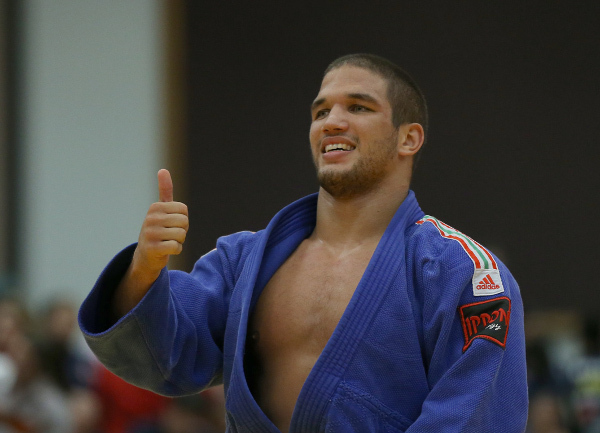 GUARDIA also put his name behind the upcoming Word Judo Day and thinks the annual event will educate young people and judoka of all levels about the history of the sport and the legacy of KANO Jigoro. After three days of competition, Japan remain top of the medal table with five gold medals, four silver and one bronze ahead of France and Brazil. On day four, the last day of the individual competition, the wait is over for the most accomplished heavyweights in the junior ranks who will get their chance to go for glory in Fort Lauderdale on Saturday. The draw for Sunday’s Junior World Team Championships will be held during the break on Saturday at 16.30. The last day of action in Florida will see 16 junior women’s teams and 17 junior men’s go toe-to-toe. The -63kg final was an all-Japanese affair as 17-year-old Junior All Japan Championships winner MINEI Miho (JPN) faced St. Petersburg Junior European Cup winner NABEKURA Nami (JPN). 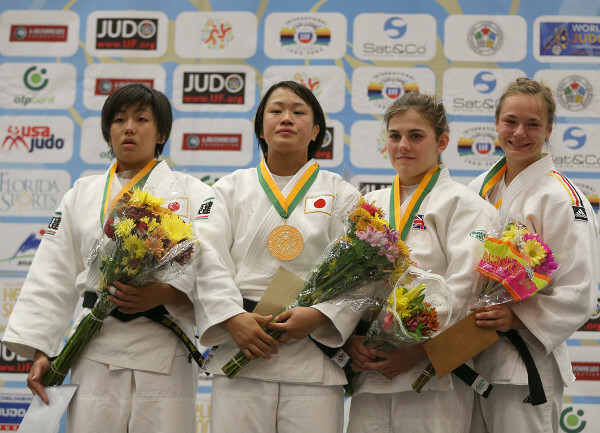 MINEI, who is one of the youngest judoka in the competition, was able to capture the gold medal by a yuko score as NABEKURA never imposed herself in the contest having received two shido penalties for passivity. In the first semi-final MINEI bested German Championships bronze medallist Vivian HERRMANN (GER) who was part of the German women’s team who won bronze last year. MINEI secured a place in the final with 81 seconds remaining as she scored ippon with a huge harai-goshi. In the second semi-final NABEKURA guaranteed that the -63kg gold medal would be destined for Japan as she defeated former Cadet European silver medallist Lucy RENSHALL (GBR). NABEKURA went ahead with a waza-ari before adding a yuko score and moments later sealed the win by holding her British rival down in osaekomi for 15 seconds and wazari-awasette-ippon. The first bronze medal was won by former Cadet European chamion Katie-Jemima YEATS-BROWN (GBR) who defeated teammate RENSHALL who had two shido penalties while former rugby player YEATS-BROWN had an unblemished record. The second bronze medal was captured by the emotional HERRMANN who triumphed against Danielle OLIVEIRA (BRA). 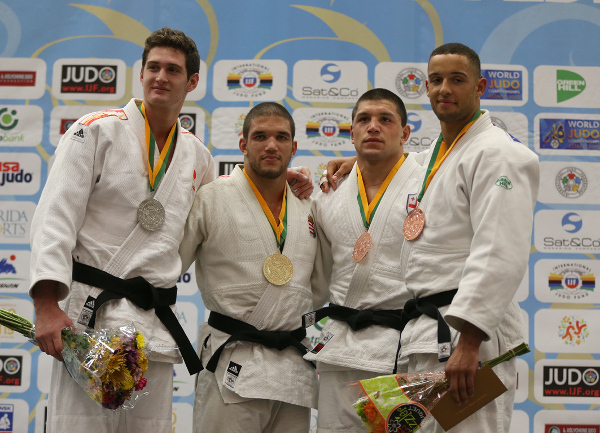 HERRMANN settled the fate of the second bronze medal by throwing for ippon with uchi-mata. 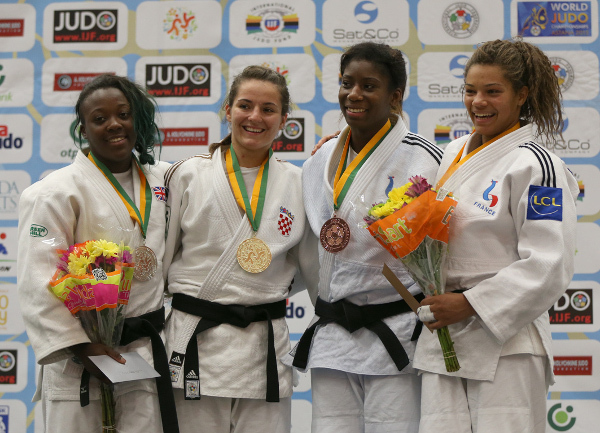 Budapest Grand Prix runner-up Barbara MATIC (CRO) retained her Junior World title by outworking Berlin Junior European Cup bronze medallist Ebony DRYSDALE DALEY (GBR) in the -70kg final. DRYSDALE DALEY was unable to show her tenacity and power which was on full show in the previous rounds as MATIC, who is already a leading name on the senior stage, never gave her rival a look in as she purposefully clinched the top spot on the podium. DRYSDALE DALEY received four shido penalties to hand the title to the Croatian by hansoku-make. In the first semi-final MATIC (CRO) bested Junior European bronze medallist Melissa HELEINE (FRA) by ippon from an ouchi-gari after opening with a yuko before adding a waza-ari. In the second semi-final DRYSDALE DALEY defeated 2013 Cadet world champion Marie Eve GAHIE (FRA). DRYSDALE DALEY led with a waza-ari before GAHIE responded with a yuko. The British fighter held off her French opponent in the closing seconds to progress to the final as her victim was consoled by her coach. The first bronze medal was captured by GAHIE who was superior to 17-year-old Junior European bronze medallist Aleksandra SAMARDZIC (BIH). The French teen scored a waza-ari and yuko while SAMARDZIC was unable to penetrate the scoreboard. The second bronze medal was won by HELEINE who saw off the spirited Junior Pan American Championships gold medallist Diana BRENES (CRC) who produced her country’s best ever result at a Junior World Championships. HELEINE secured her place next to compatriot GAHIE on the medal podium by scoring a waza-ari and yuko without reply. Top seed and Berlin Junior European Cup winner Rafael MACEDO (BRA) defeated Youth Olympic Games winner Mikhail IGOLNIKOV (RUS) to win his country’s first gold medal in Fort Lauderdale. MACEDO, who clinically showed why he entered as the favourite, started the contest by receiveing a shido for a false attack but that was never a factor in the fate of the title as he threw with harai-goshi and trapped the Russian in osaekomi for 20 seconds and ippon. In the first semi-final MACEDO was at his explosive best against former Cadet European bronze medallist Jonas BJORKTORP (SWE) who was subdued by two waza-ari scores with a spinning uchi-mata the pick of the the Brazilian’s wide repertoire. In the second semi-final GOLNIKOV downed Junior European bronze medallist Levan GUGAVA (GEO) by ippon with 16 seconds left in their bout. The first bronze medal was won by GUGAVA who was successful against Wroclaw Junior European Cup silver medallist Rico HARDER (NED). The Dutchman scored first with a waza-ari before the Georgian looked to fight back with a yuko. HARDER attacked with uchi-mata but GUGAVA took control of it to flip his opponent over for ippon. 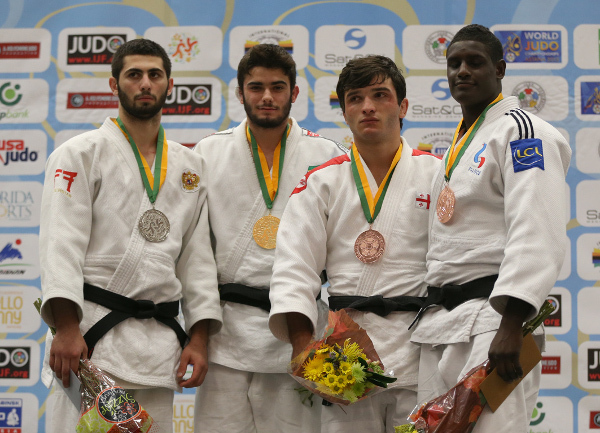 The second bronze medal was clinched by Junior European Team bronze medallist Pape Doudou NDIAYE (FRA) who bested Kaunas Junior European silver medallist Jonas BJORKTORP (SWE) by ippon with 41 seconds remaining. World silver medallist Krisztian TOTH (HUN) won Junior world gold on Friday in the last final of the day in Fort Lauderdale. The 20-year-old Hungarian powerhouse defeated 18-year-old Junior European bronze medallist Nikoloz SHERAZADISHVILI (ESP). TOTH was penalised for a gripping infringement before SHERAZADISHVILI was penalised twice as the title was decided on shido penalties. In the first semi-final Junior European Championships bronze medallist Max DE VREEZE (NED) lost out to 18-year-old Junior European bronze medallist Nikoloz SHERAZADISHVILI (ESP). DE VREEZE led by a waza-ari and a yuko before his opponent suggested a comeback could be on the cards by scoring a waza-ari and the Spaniard was sharper in ne-waza as he held DE VREEZE in osaekomi for 15 seconds. In the second semi-final the contest that many neutrals hoped for was realised as TOTH squared off against reigning Junior world champion Beka GVINIASHVILI (GEO) who beat the former in the Ulaanbaatar Grand Prix final this year. The rivals traded shido penalties before TOTH registered his first win in their fascinating head-to-head series which has gripped the junior and senior circuit by a yuko score. The first bronze medal was won by GVINIASHVILI who dispatched Paks Junior European Cup winner David TEKIC (GER) by ippon after two minutes. The second bronze medal was clinched by DE VREEZE who overcame national champion Piotr KUCZERA (POL) with an armlock with a minute left on the clock.